A. I’m a NC native, born in Fayetteville though not an Army brat. I was raised in Greensboro, primarily by my awesome grandparents. Aside from a three-year stint living and working in Crested Butte, Colorado, I have lived in the area for most of my life. Though my family was not well-off financially, I was incredibly blessed to receive an academic scholarship and spend nine years at Greensboro Day School. The education I received there was instrumental in helping me prepare to be a lifelong learner and critical thinker. I believe these skills helped me decide to wait on going to college until I found a career - and related education - I could commit myself to for the long haul. Currently, I m a licensed massage therapist and own A to Zen Massage, an award-winning wellness spa on State Street in Greensboro. I’ve been practicing for almost 25 years and see clients every week. Although I don’t manage most of the day to day operations of the spa, I am still fairly involved on the marketing, business development and bill-paying sides. 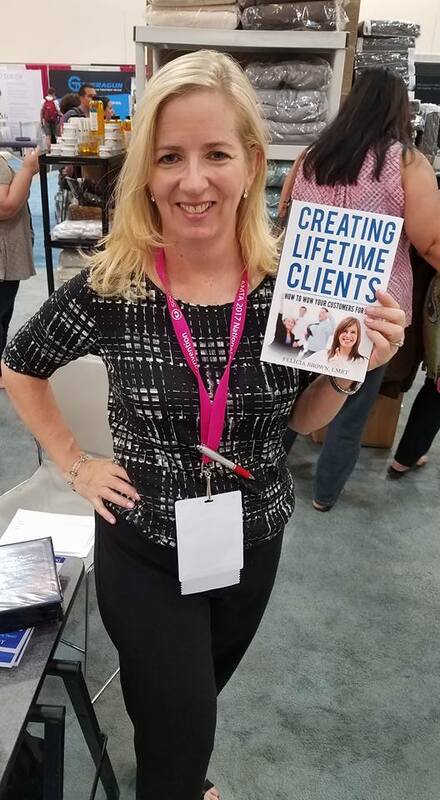 I regularly speak to area groups to help promote the spa as well as to share my secrets for success in the areas of business, entrepreneurship, self-care and personal growth. I’ve always been drawn to teaching and sharing my knowledge to hep others. As a result, I also teach classes and speak at massage and spa industry conferences around the US and internationally. In May, I’m teaching on a cruise to Tortolla, The Bahamas and the British Virgin Isles and am always up for a new adventure! I’ve done quite a bit of writing too and have written seven books so far as well as been a contributing writer several other books, courses, textbooks and magazine articles. I also work as a consultant/coach with individual massage and spa professionals and business owners to help them grow and improve their marketing or operations. For the last several years, I’ve also worked as an expert witness on cases related to the massage and spa industry. I love to read and have a passion for learning new things, both of which I’ve gotten a lot of in this work. A. I always have a lot of projects in the works, so it is hard to stop on just one. I guess the most exciting thing is planning to offer personal growth/wellness/self-care-oriented retreats starting in 2020. It seems like a natural progression from all the work I’ve done as a massage therapist, speaker, educator and coach. It also appeals to my own need for more adventure and fun in my life! I’m turning fifty in December and got an intuitive nudge after my last birthday that the celebration of my fiftieth year should start immediately. Part of that is saying yes to more things I’ve always wanted to do. As a result, I’ve enrolled in Yoga Teacher Training this summer at the Asheville Yoga Center, taken some coaching programs to improve my skills as a retreat leader/speaker and gone on a couple of meditation retreats this year. So I guess the real answer about the project I am most excited to be working on right now is ME! Felicia to the 50th power! I am really happy with is the way I've been able to incorporate some of my hobbies and personal charitable interests into my work and business. For example, we sponsor a number of 5K races each year - which I usually run in - such as the Tuxedo Trot (Greensboro Science Center), Shea’s Chase (Mental Health Association) and Kirkwood 5K (Backpack Beginnings). This is both an incentive for me to keep up with my training and helps to raise money for area causes and organizations. Recently we added an exciting partnership with the Guilford County Animal Shelter in which our team sponsors the adoption fees of several harder to place pets each month. I love animals and am so happy to help find homes for some of the pets at the shelter. I can't adopt them all but I can help a few of them find their forever homes and families! A. On a professional level, I sort of fired myself from my spa. I’m being dramatic, as in essence what I did was hire a manager to take over my role in running the business. I am a fantastic mentor and coach but am a bit too soft to reprimand people when they need it. I have also been very busy with other projects and sometimes let things slide when I didn’t have time to deal with them. When the spa encountered some fairly difficult problems as a result of my laid-back management style, I knew something had to change. Noting that I was a common denominator in many of the issues helped me to see perhaps I needed to turn it over to someone else. This was not easy to admit in the midst of it, but time has shown me this was the best decision for everyone. Delegation does not come easily to me, as I know it doesn’t to many entrepreneurs. However, over time I have learned I can’t do it all, or at least not do it all well, and am learning to let go of the reins a bit so people I trust can take them. It is totally OK not to be great at everything as long as you know how to get help, delegate or hire to make up for it. I have been able to do that and am now able to not only focus my time on what I am best at, but also to take a little more time off, which is a really nice change. A. I’d love to publish more books. I have ideas for several others, including two that are in rough draft form right now. The biggest obstacle in general is time. I have plenty of time – well just as much as anyone else – but have chosen to spend it on other things currently. A. By and large I have no regrets about my life or path as it has unfolded, even though I’ve experienced my fair share of pain and mistakes along the way. However, if I had such an opportunity to pass on wisdom, I’d tell her to stop worrying so much about hurting other people’s feelings and to be true to herself above all else. I’d also share some advice on staying out of debt, saving money and investing wisely. A. I am a huge quote junkie, so it is hard for me to settle on just one uplifting idea, quote or thought. At A to Zen, our mantra is “Love our clients” while our mission is “To create a place of healing for all who walk though our doors.” I find those phrases help guide me through pretty much every decision I make in the business. Personally, at the moment, I like to ask myself the question, “Does this serve to create the life you want?” whenever I am feeling blue, stuck or challenged with a choice or problem. It helps me see whether or not my critical thinking or mood is serving a positive purpose or holding me back. I guess I also will ask myself, “How CAN this serve to create the life you want?” In other words, what can I learn from the challenge or gain from the problem? I will also say that one of my “go to” strategies for moving closer to something I want to accomplish or away from something I want to finish or overcome is to “Do ONE thing.” In other words, to take action in some way, ANY action, to change the energy, shift my focus, improve my perspective, or just cross something off the to do list. There is so much power in taking focused purposeful action, even if that action is a small one. A. My most “creative” outlet is probably writing, but obviously I use creative energies in other areas of what I do from teaching and speaking to growing my business. When I get stuck, I usually just have to walk away from the project for awhile and do something totally unrelated. That could mean going for a walk in the park, walking my dogs, exercising or taking a nap. It could also mean cleaning out a closet, gardening, filing or doing another task that requires a different area of my brain to engage. At times, when I’m on a deadline and “have” to create, I go with the “Do ONE thing” strategy. If I have to write an article but just can’t get going on it, I’ll read old articles I’ve written on similar topics or try to create an outline for it. I might google the topic to see if I can get ideas or references to use, or maybe look at pictures related to the topic. I’m also open to delegation or collaboration and will ask for help. This is still hard for me, perhaps in part because I am stubborn but also because I am very independent. However, I find that conversation and engagement with others can really help to spark ideas I had never even considered before. I’ve come to believe that asking others for help is a real strength and am excited to feel more comfortable in using this developing skill. A. One of my greatest weaknesses in my early life was procrastination. I used to say I wasn’t good at finishing things, but in truth I think I was just easily overwhelmed and did not know how to ask for the help I needed to complete unfamiliar tasks or projects. I believed I had to do everything myself or else it wasn’t really “my” work or I was not a success. Over time I have realized that none of us can do anything on our own. We all need support in one form or another, and that is OK! Ask for help, guidance, feedback suggestions, and support when and where you need it. Those who are leaders, teachers, mentors and friends will want to help you succeed. I’ve also learned that a huge reason for procrastination is a fear of failure. I used to really dread failure for fear of what people would think of me. Then I failed – really big with a capital F failed – and the world went on. I learned, grew, and recovered from that failure and found that most people respected me more as a result of that failure because I kept going, kept trying to learn, kept doing ONE thing and eventually rebounded. Don’t let fear of failure or procrastination keep you from doing what you want to do. We all fail at something at some point, and especially if we are in business for ourselves. You’ve got one life to live and you do not want to have regrets about all the things you put off until too late. Allow yourself to learn and grow from your successes and failures and just go do what you are meant to do! A. Though I don’t do it nearly as often as I should, it is without a doubt Legs Up the Wall. I find this pose incredibly relaxing and revitalizing at the same time. When I feel tired at the spa, especially if I have a busy client day, I will find a quiet place to do it for a few minutes. In an actual yoga class, it is definitely Savasna (Corpse Pose). I am so grateful that the studio I go to most often allows us time to do this before class as well as after! A. Gratitude. Whenever I am feeling overwhelmed, less than, or stressed, I do my best to focus on what I am grateful for and all the abundance I already have. Often, I find the best way to attract more or feel more abundant is to give something away, or to do something for someone who is in need. I look for opportunities to give back which help others but also bring my joy and satisfaction. It can be as simple as passing on a smile or a compliment, or more involved by donating time, talent, money or goods. Regardless, I give without expectation as well as the knowledge it will all come back to me in some way, but without worrying about what that way is.